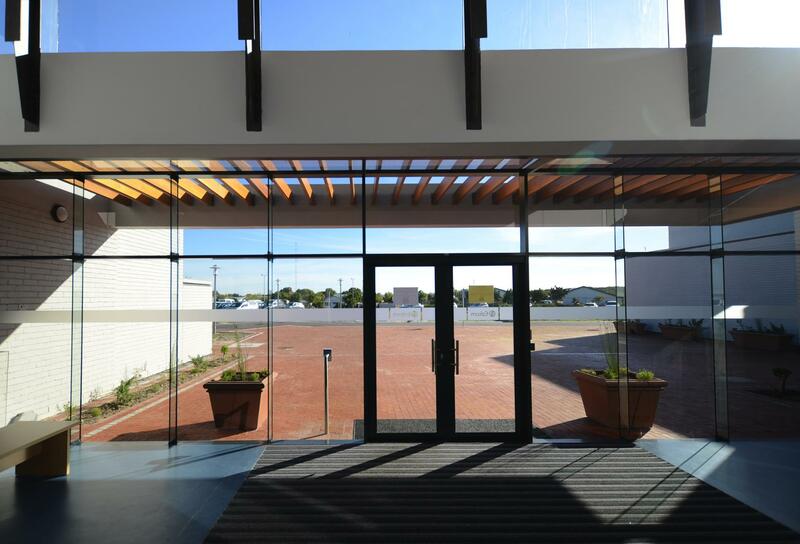 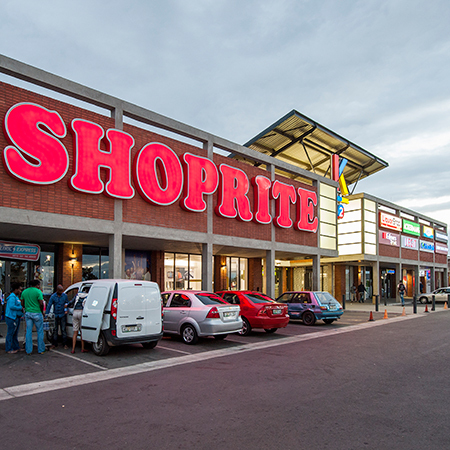 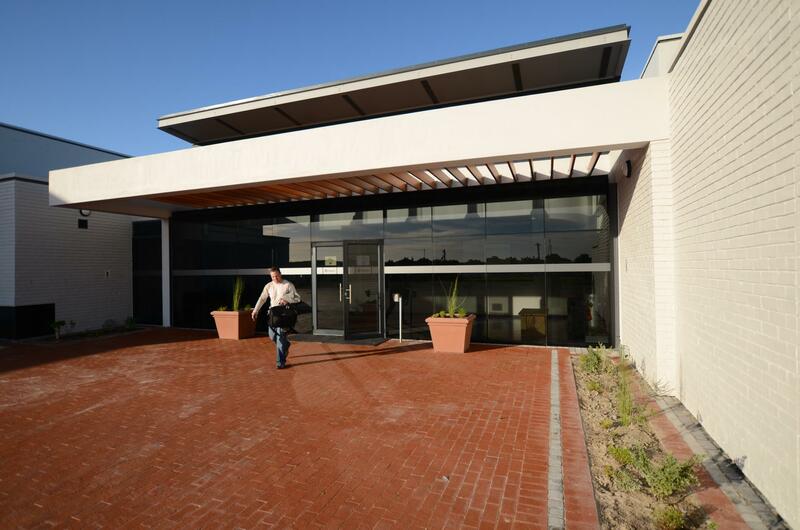 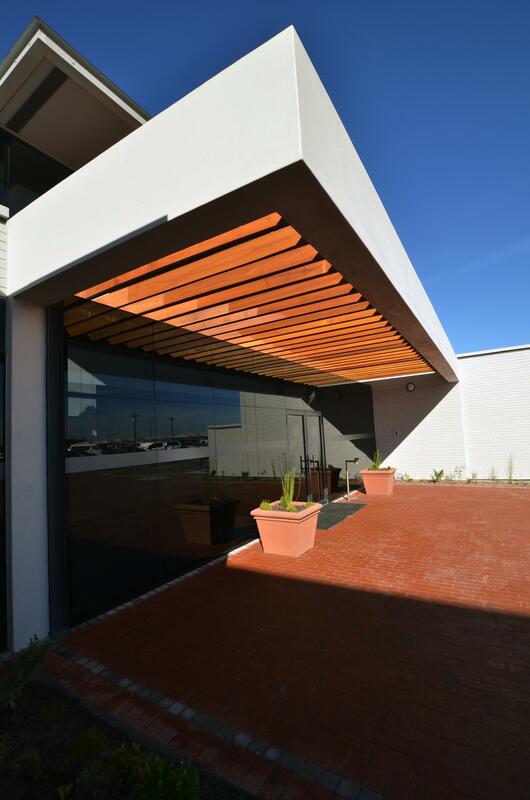 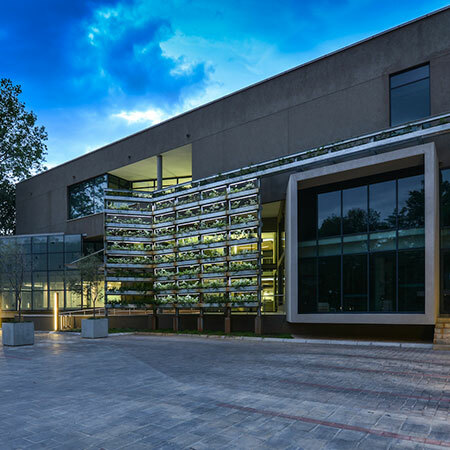 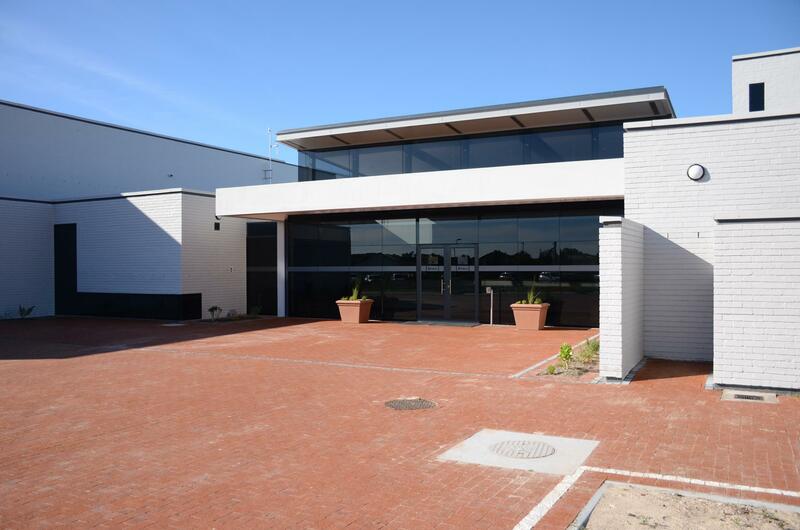 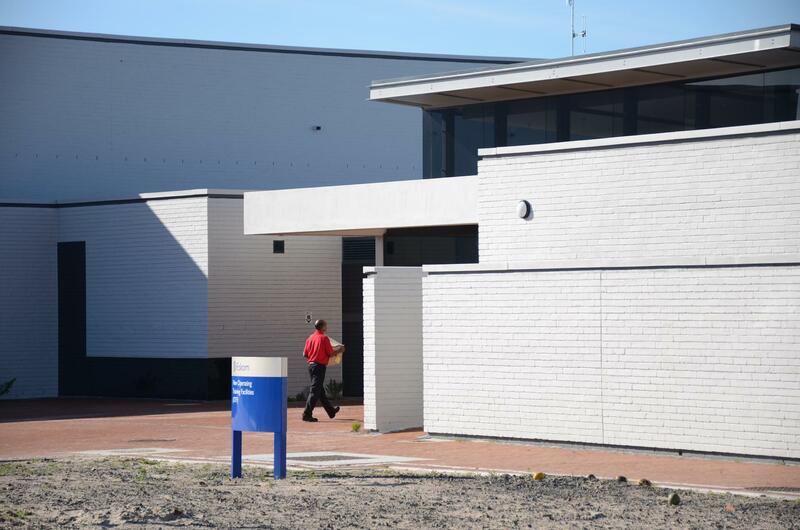 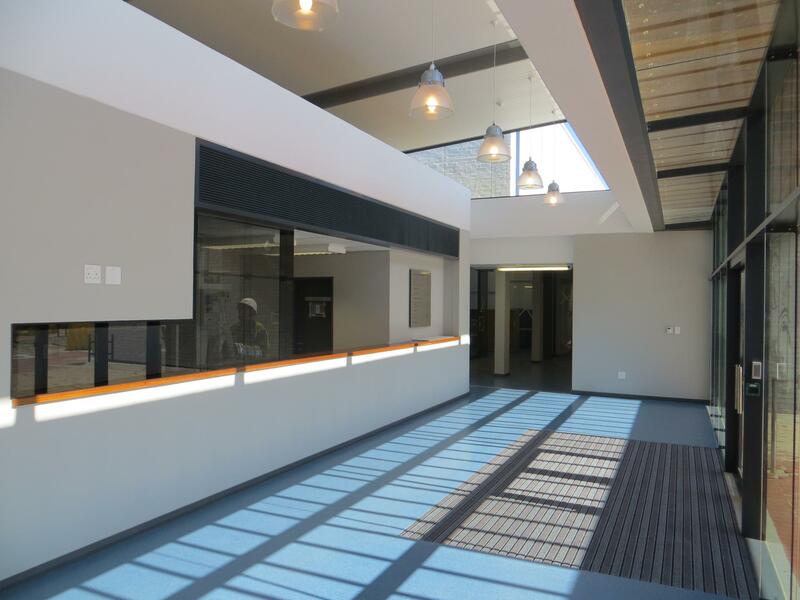 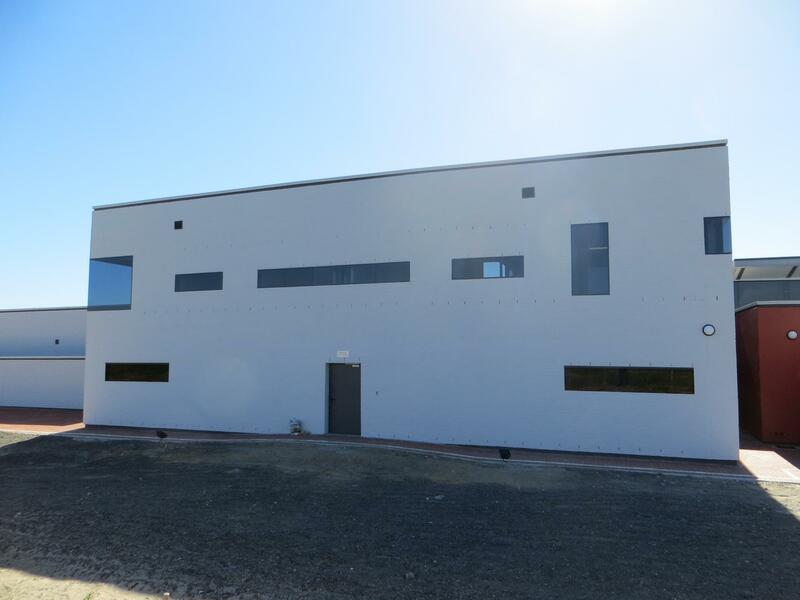 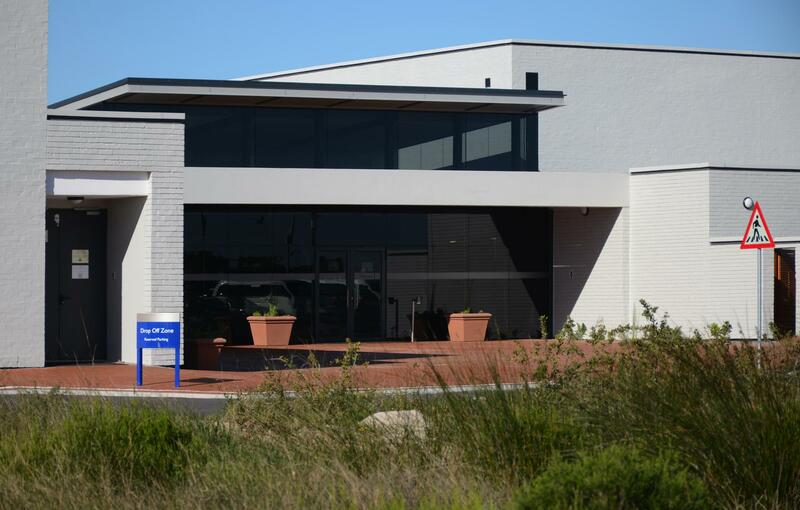 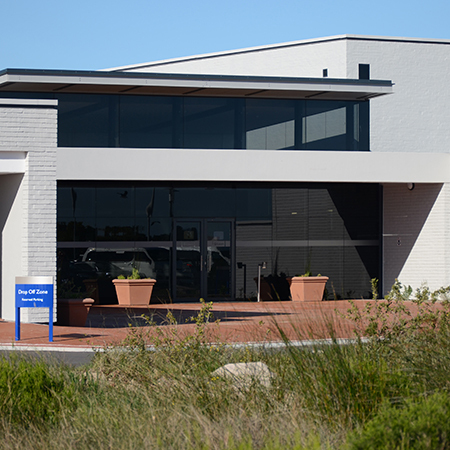 A recent expansion project at the Koeberg nuclear facility just north of Cape Town, resulted in the appointment of a professional team to design and build a new training facility. 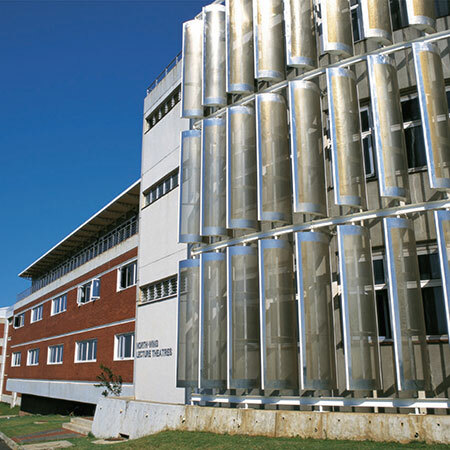 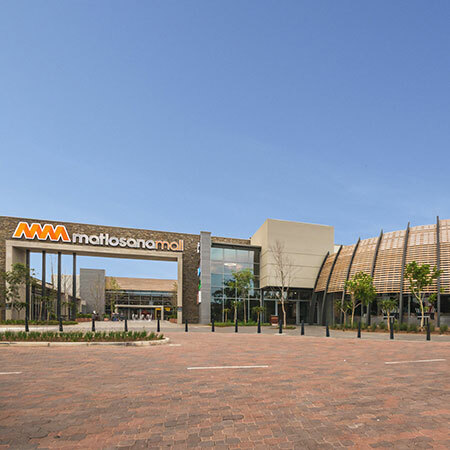 The primary purpose of the facility is to accommodate two training control room simulators that replicate the actual Koeberg Nuclear Plant control rooms. 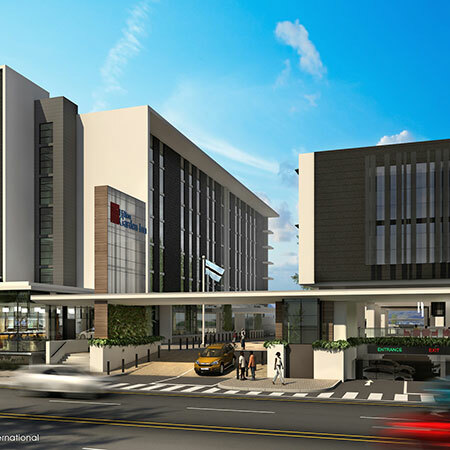 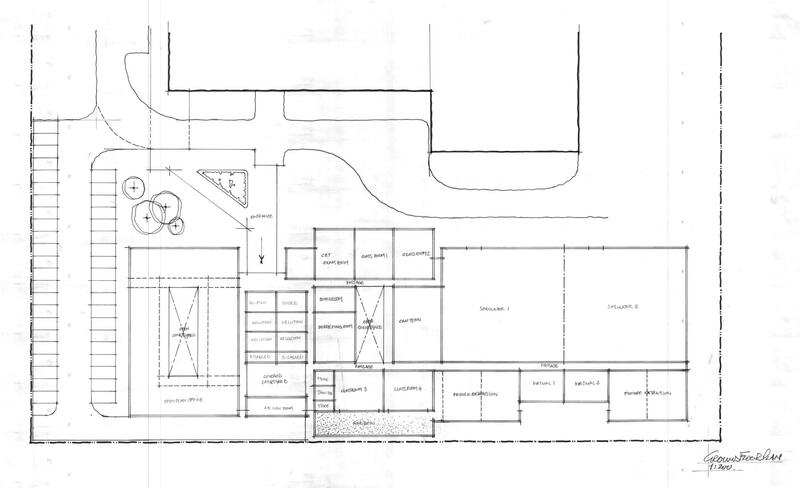 The building will be utilized for training and development of staff. 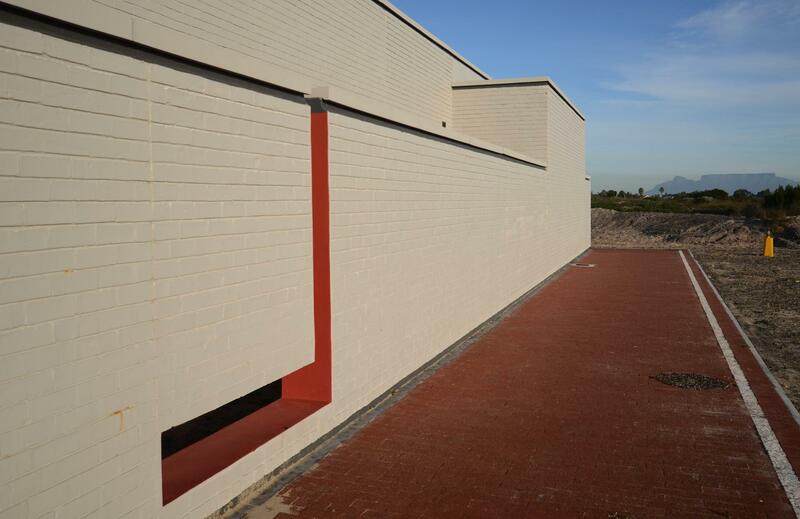 The exceptional technical nature of the facility required a technical enclosure of a very high specification. 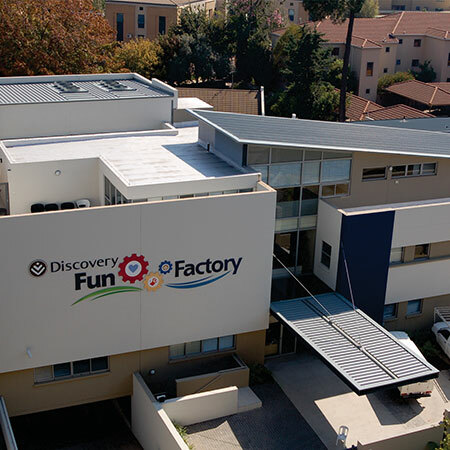 Complimentary to this primary function, the facility accommodates a range of classrooms used for a variety of workshops and teaching functions. 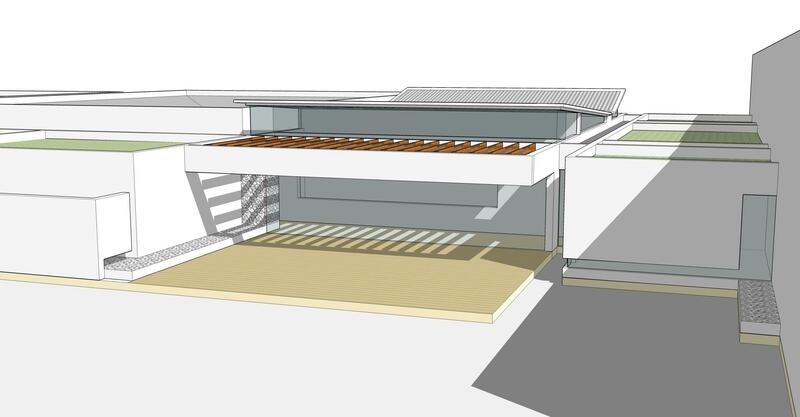 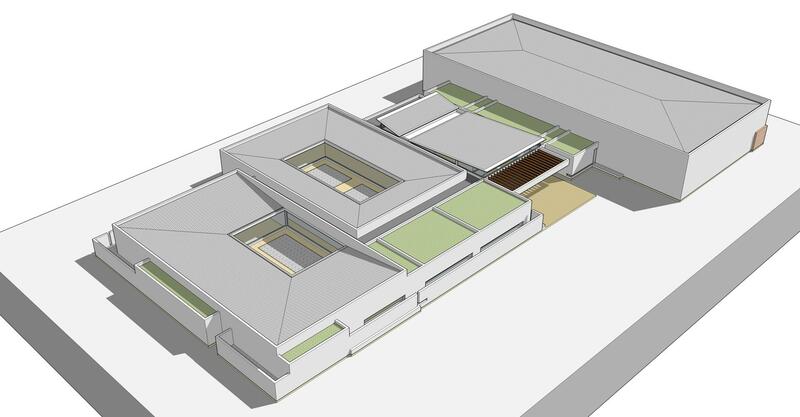 Supporting this, is a canteen and a staff pause area together with ablution facilities. 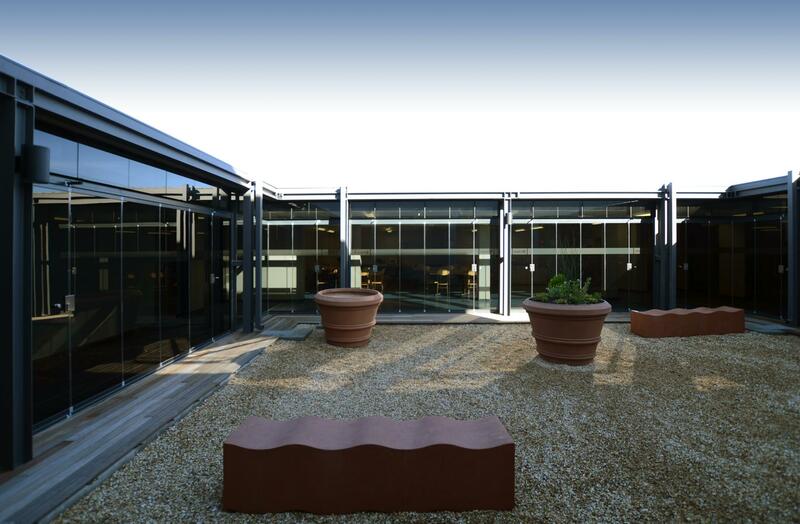 Open plan offices, a staff kitchenette, canteen and a mezzanine level with executive offices complete the building’s programme. 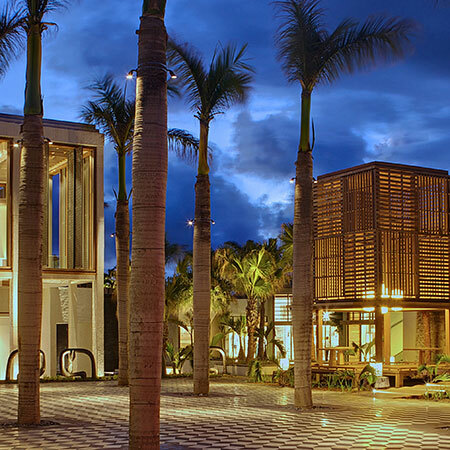 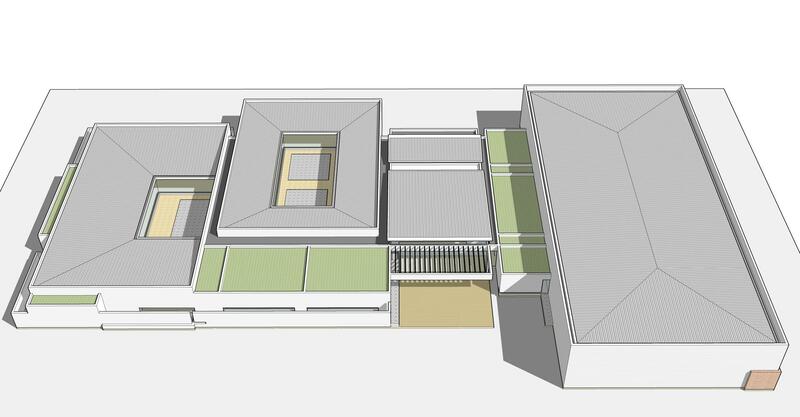 Spatially, the facility is arranged around two courtyards that function as wind-protected outside rooms. 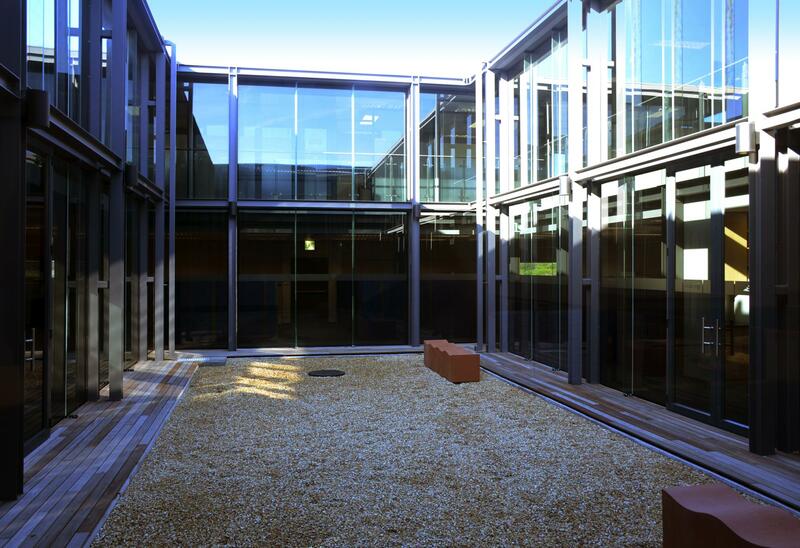 The courtyards also allow light to penetrate the deep floor spaces. 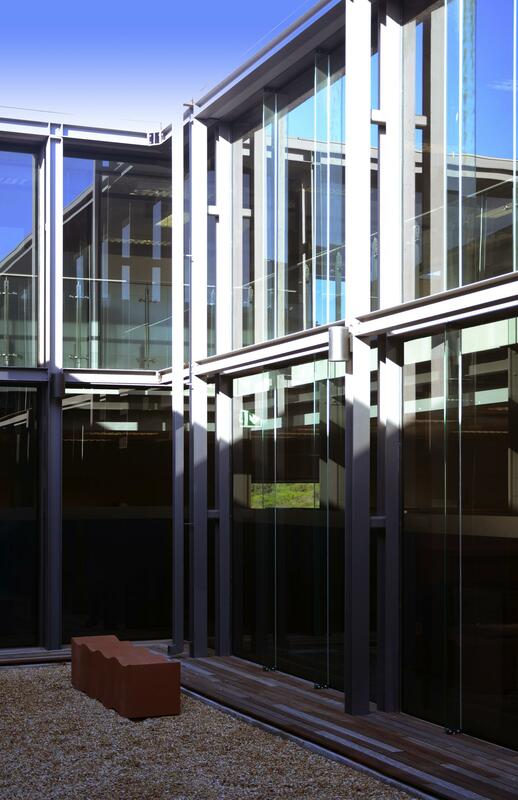 This internal light penetration is vital, considering that most of the external façade remains sparsely fenestrated with windows. 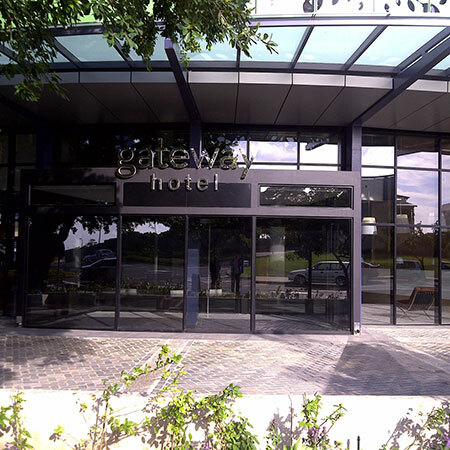 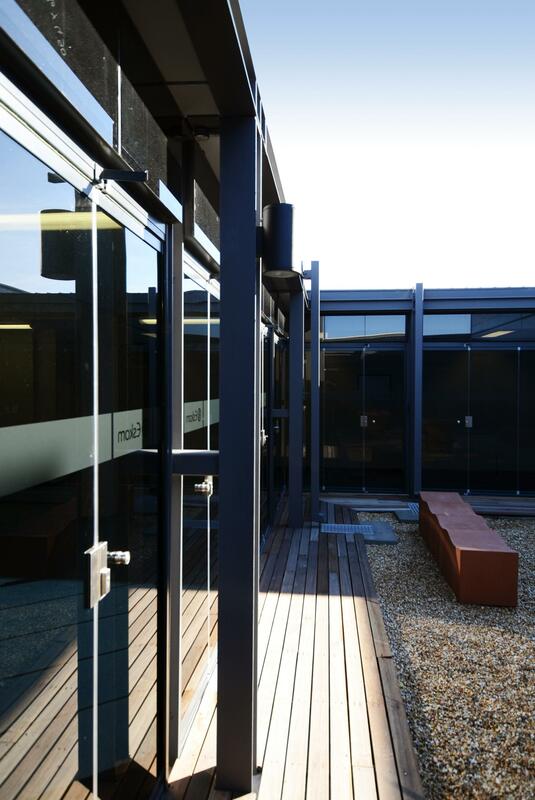 Experienced from the interior of the building, window openings are purposefully placed and sized to frame selected views towards Table Mountain, the coastline, and the undulating west coast hinterland. 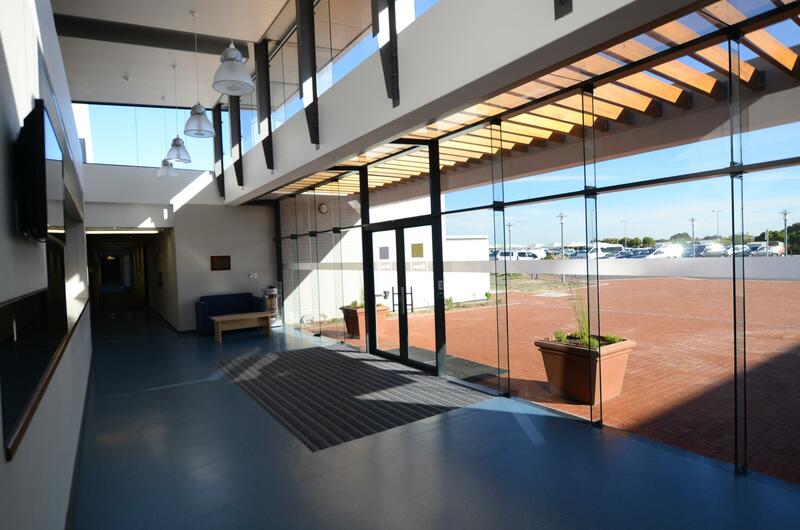 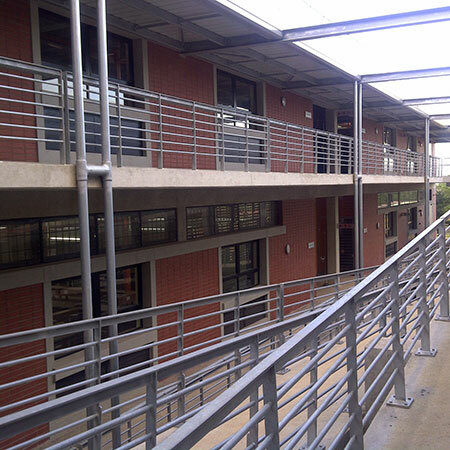 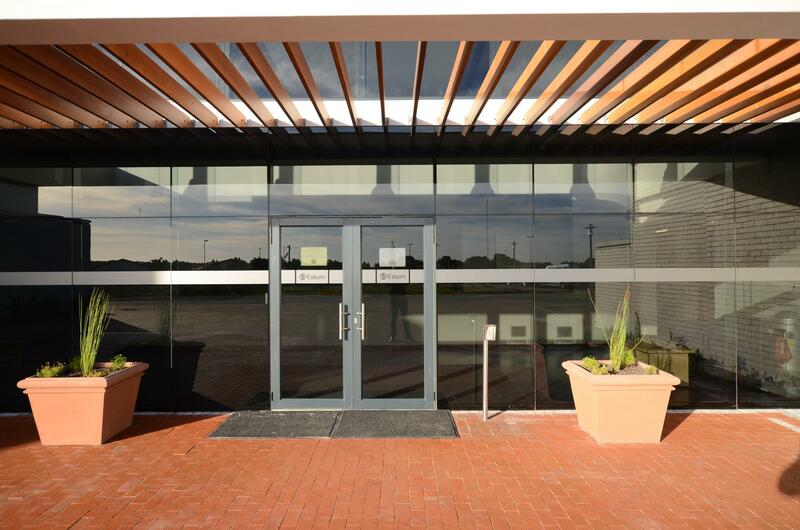 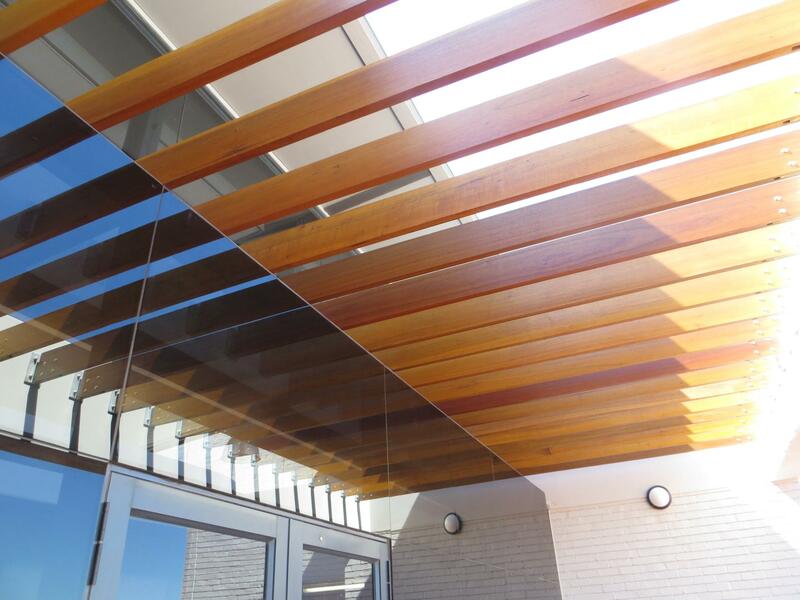 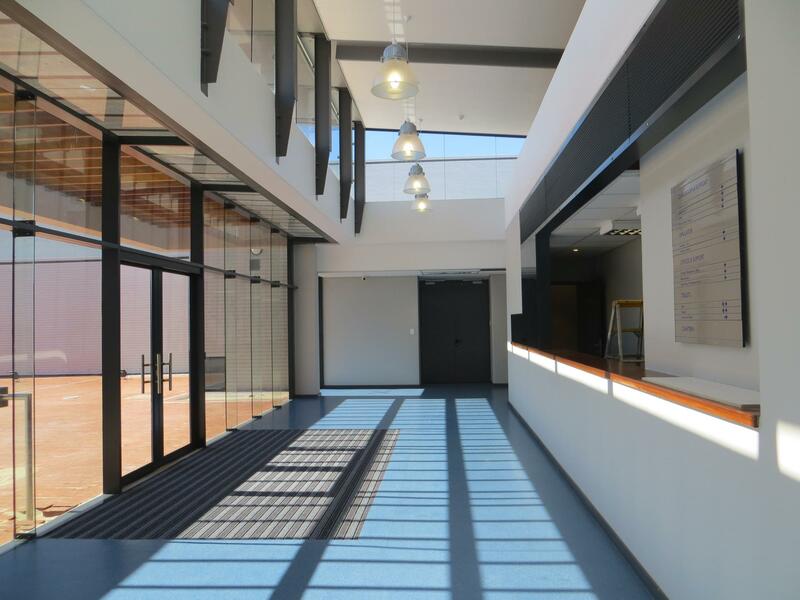 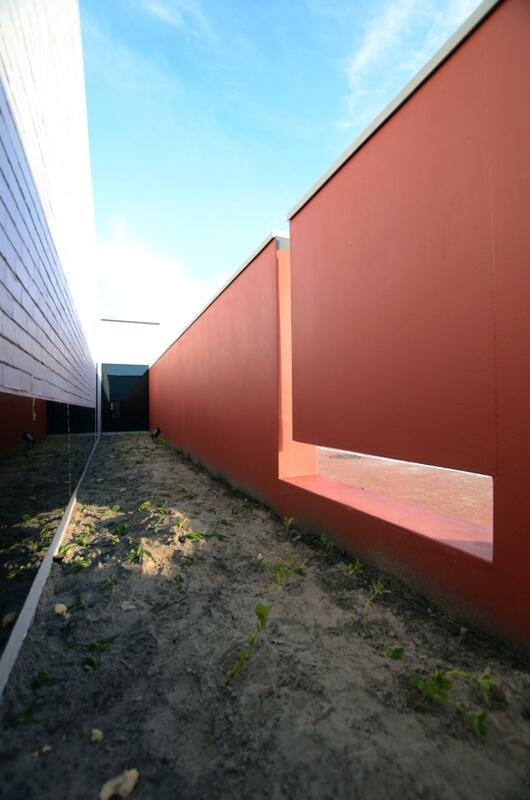 In addition to the two courtyards, peripheral lightwells are used to reflect borrowed light into the classrooms. 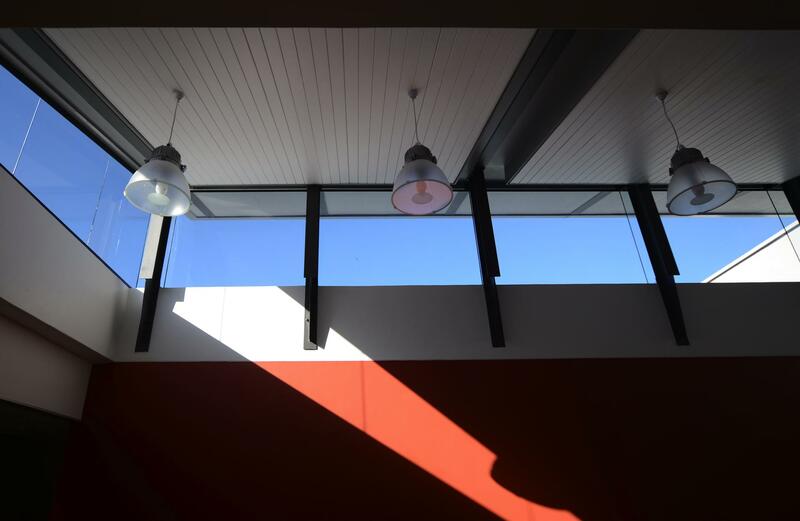 A bright red wall finish on the inside of the lightwell screen wall, creates a warm glow that spills onto the floor level of classrooms along the periphery of the building. 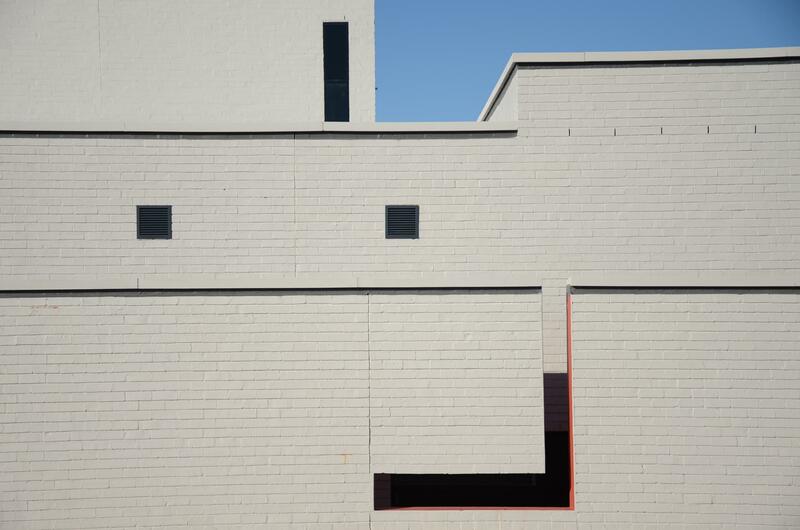 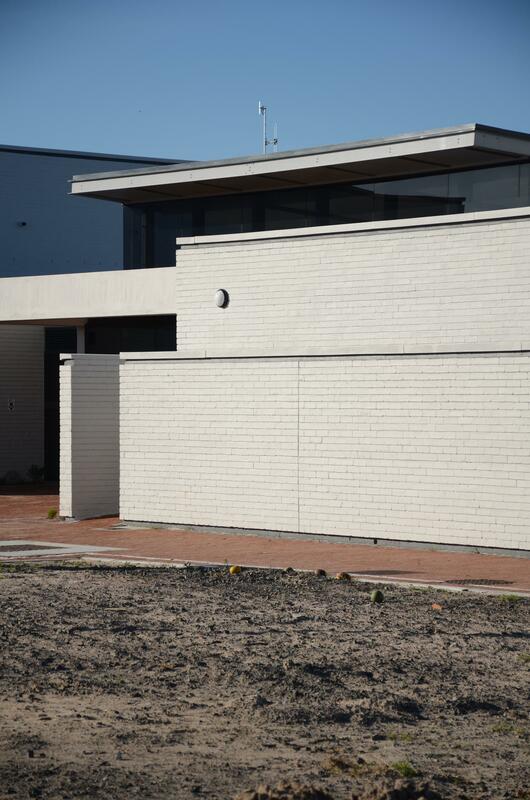 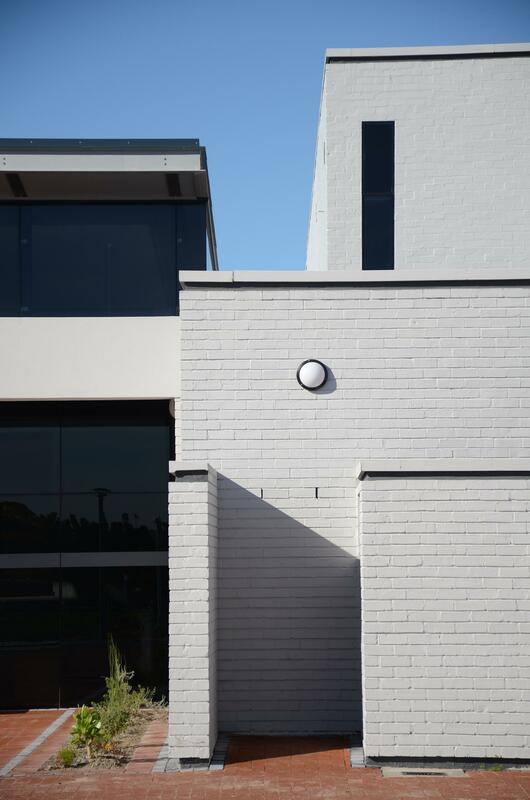 The external character of the building is a series of whitewashed spartan boxes that juxtapose the surrounding landscape in which it is located. 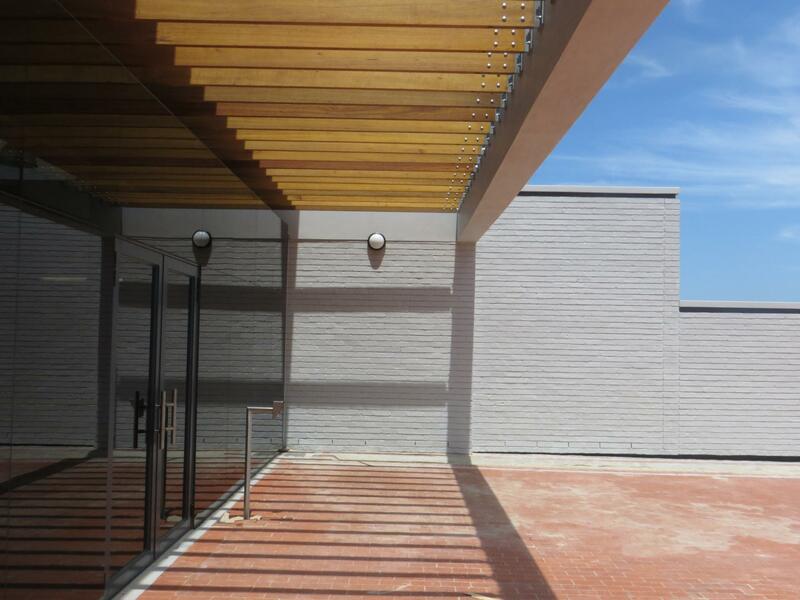 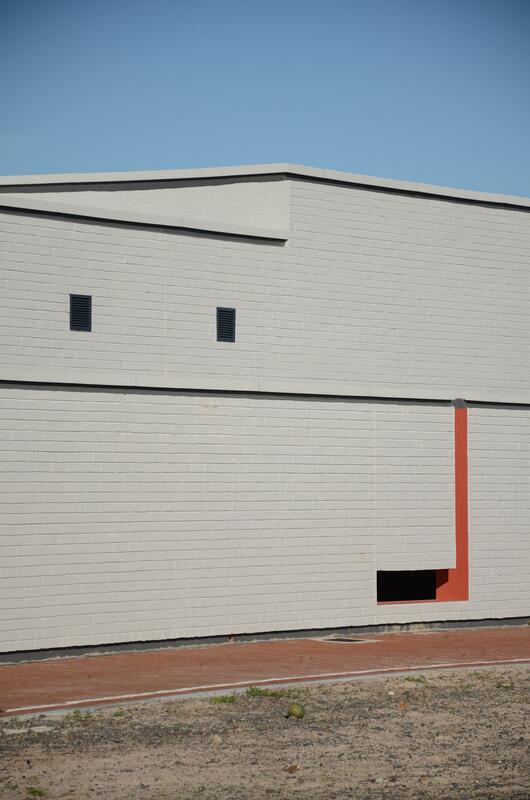 Raked horizontal brick joints emphasise the horizontality of the building. 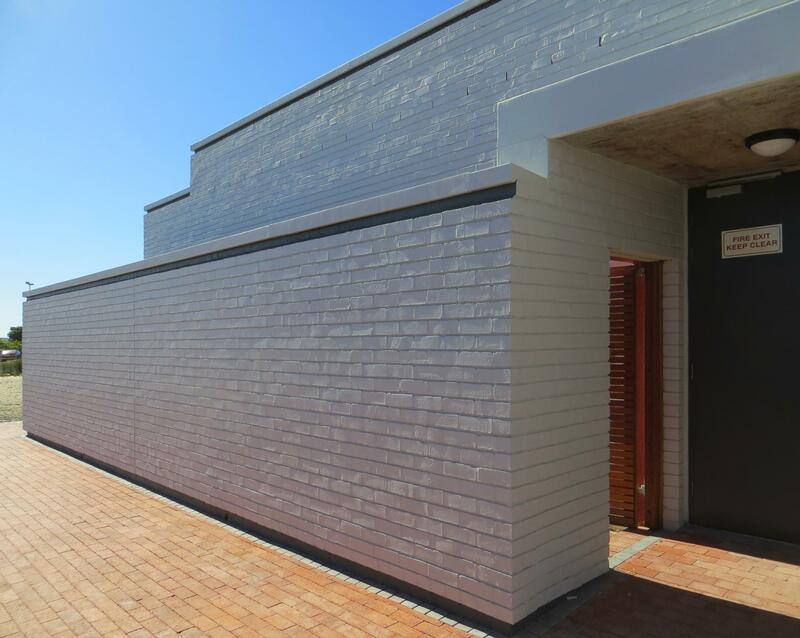 In keeping the building height to a minimum, the building sits unobtrusively inside the undulating topography of the Koeberg Nature Reserve. 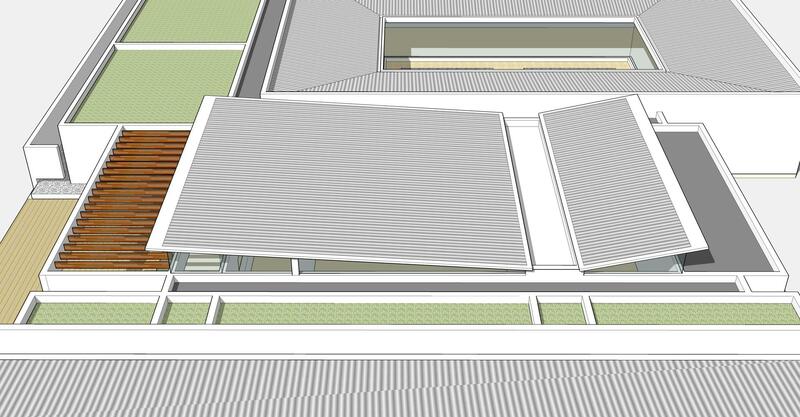 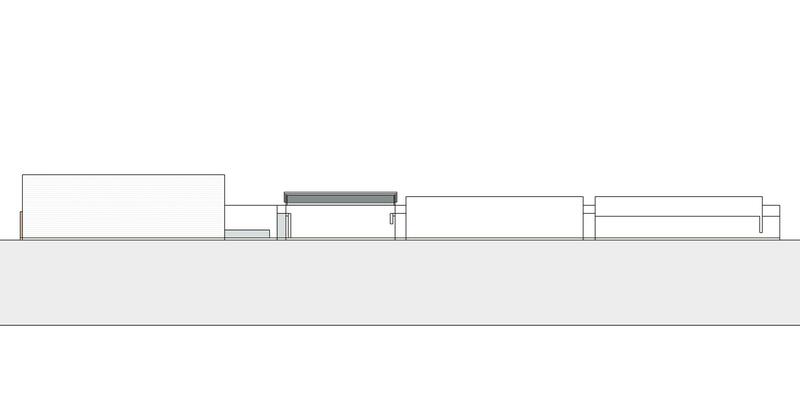 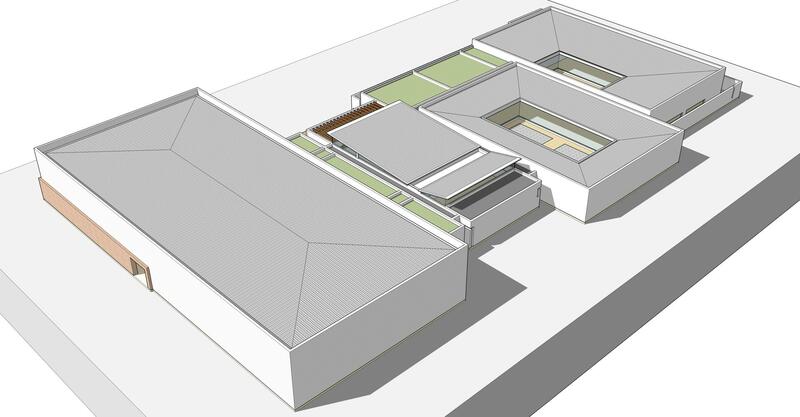 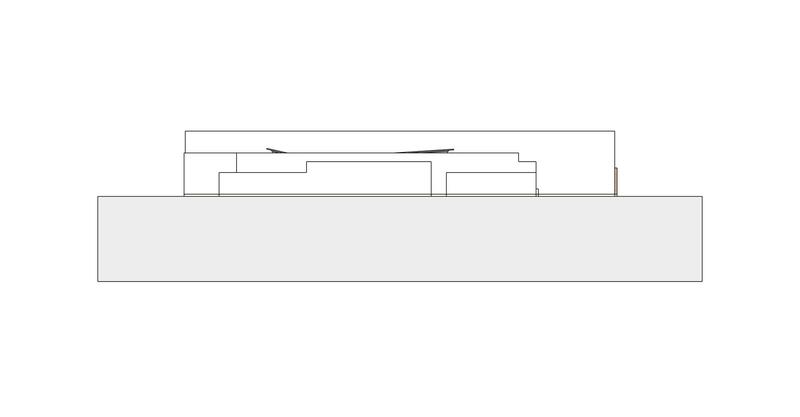 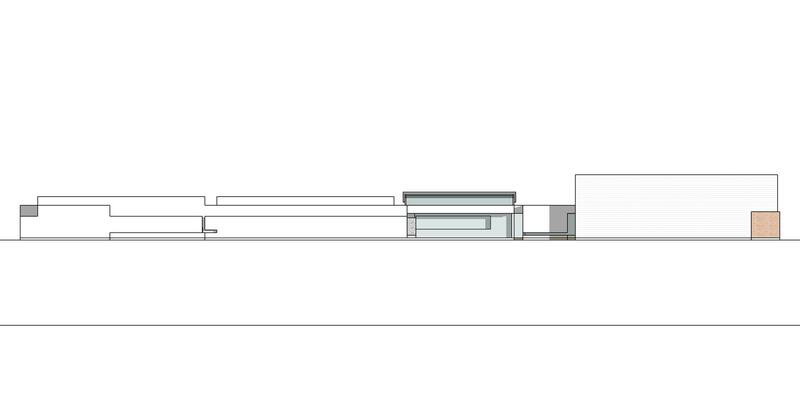 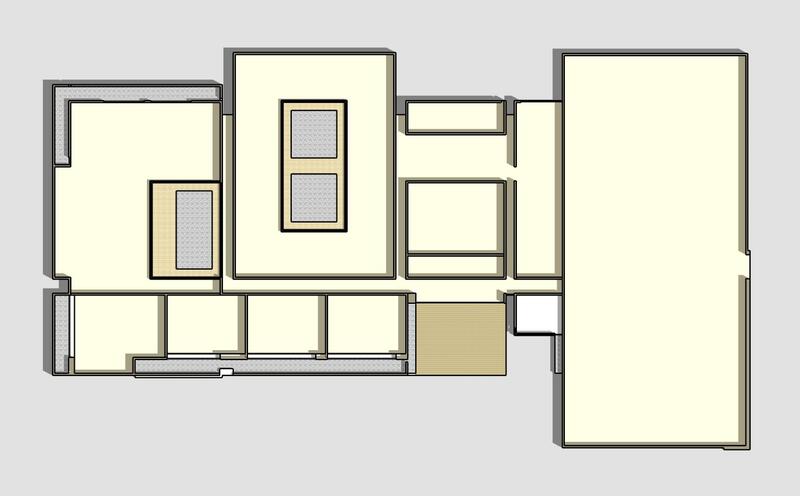 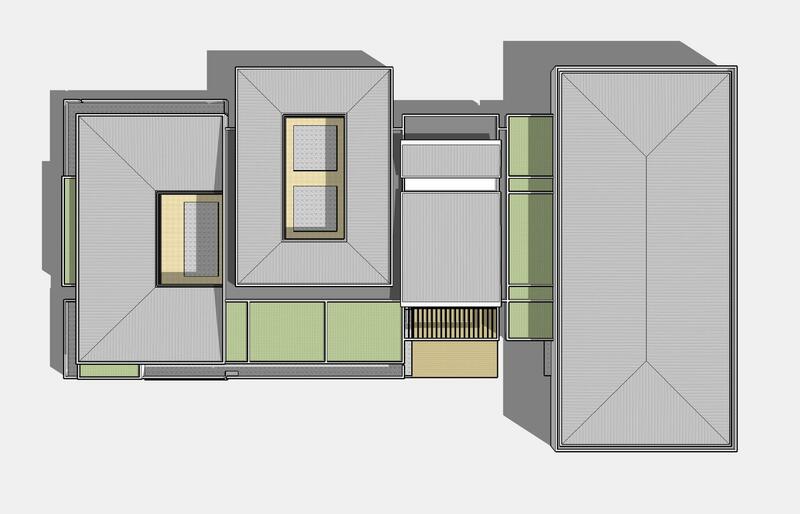 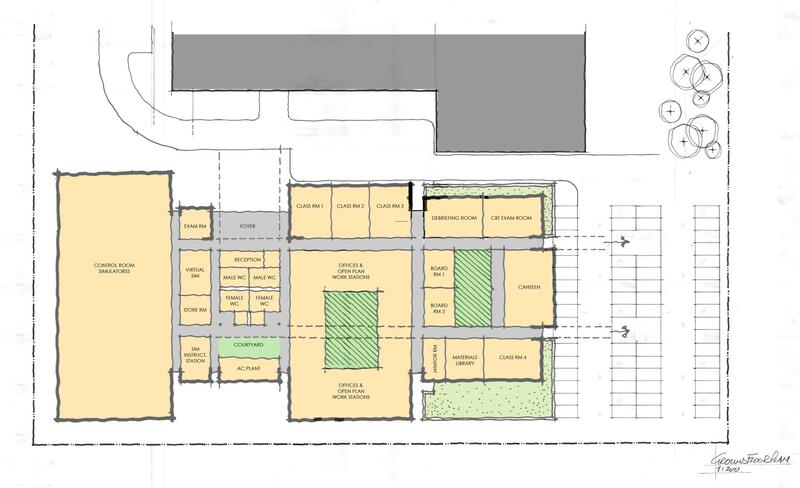 The linear arrangement of the plan allows for future expansion of the building’s training facilities to be easily added to the southern end of the building. 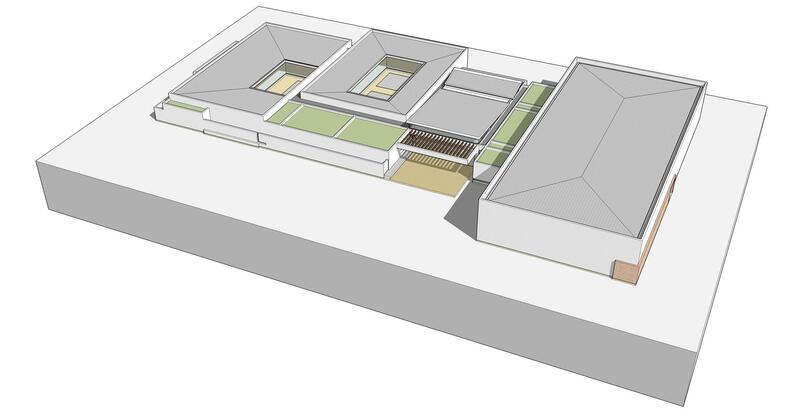 This extension would be arranged around a third courtyard. 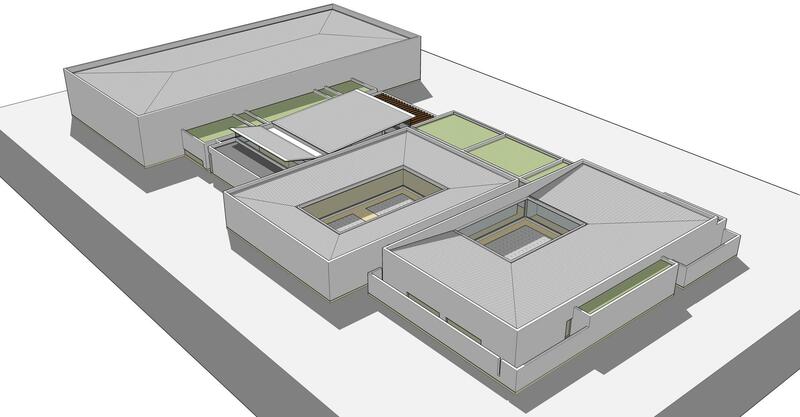 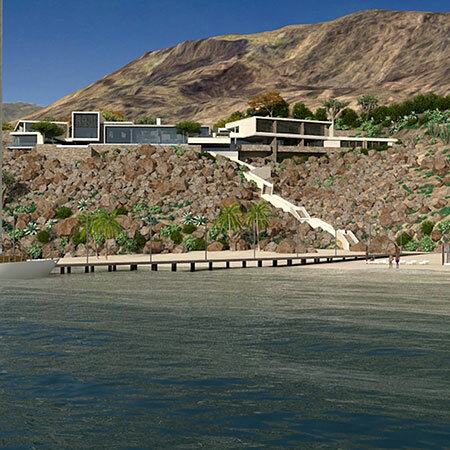 External landscape work around the building will be the final step in the process.